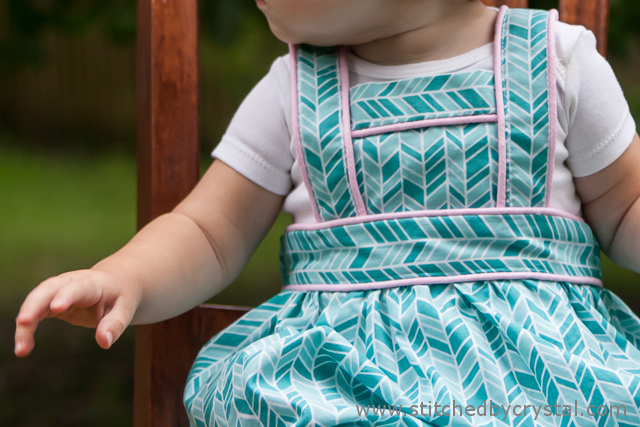 I was asked to review the Design Your Own Pinny by BOO! 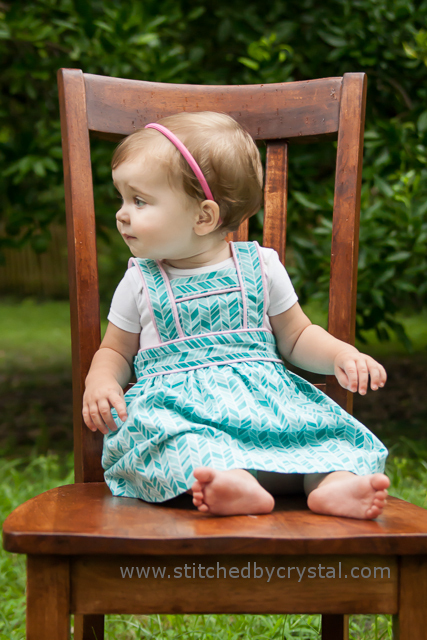 Designs, you can find mine and 2 other reviews over at Pattern Revolution. 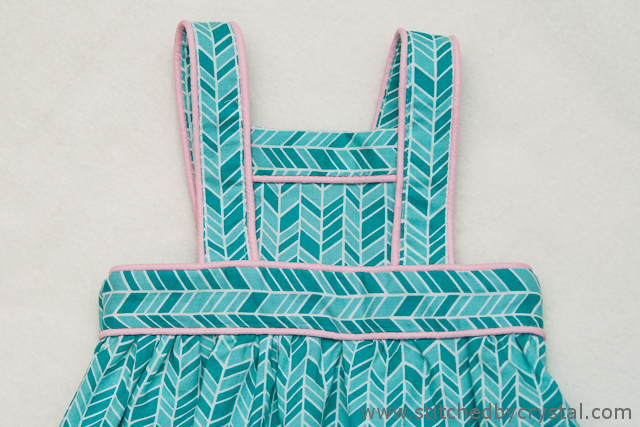 One thing I really like about the Design Your Own Pinny is not only does it cute over a tank top or tee for summer but she will be able to wear it this fall and winter layered with long sleeves. 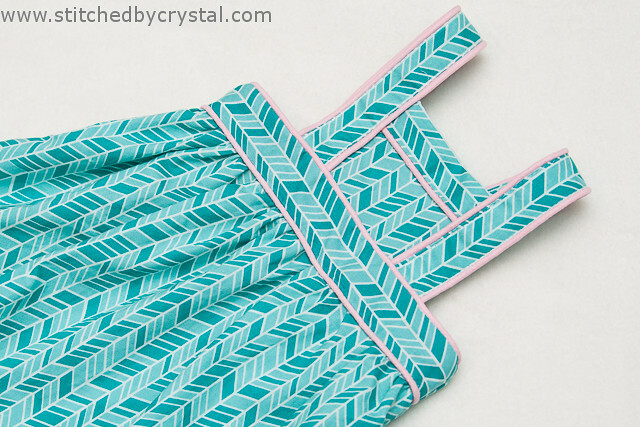 This little pinafore sewed up quick, it took me 2 hours from start to finish, and that includes cutting my fabric and making the piping. The instructions are clear and easy to follow, and the pictures in the pattern are clear and helpful as well. 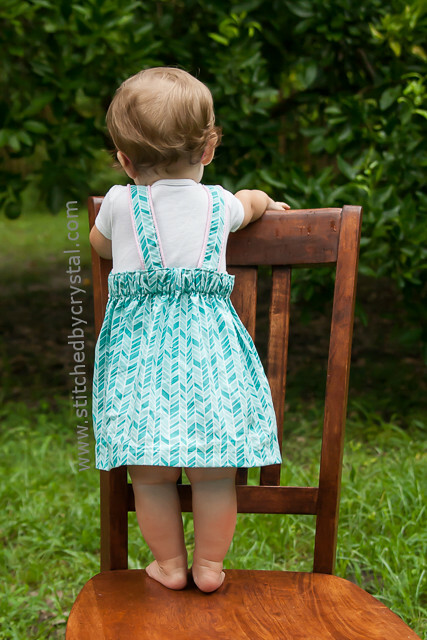 The fit is pretty good, the straps are a little long on my girl, but she is on the small end of the size measurements of the size chart in the pattern. This pattern doesn't have any pattern pieces, just a chart with measurements for rectangular pieces. The designer recommends a rotary cutter and mat and I second that recommendation, I think it would be a pain to cut out all those rectangles with out it! There is also a yardage chart in the pattern. The chart was pretty accurate for the outer fabric, but I ended up with a lot of extra of the facing fabric, I could have gotten away with just half of what the pattern called for. 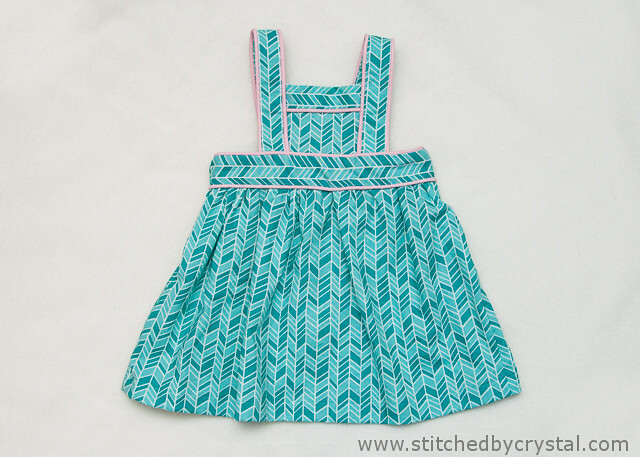 I think this is a pattern a beginner can sew, but an advanced seamstress can have fun with this too putting their own spin on it. 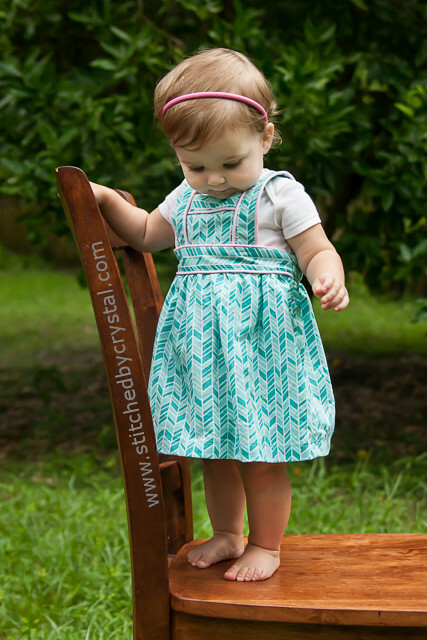 The pattern comes with instructions for a bow bodice, lattice bodice, or plain bodice. It also has two different lengths and an option for an elastic or a zipper back. I went with the longer length and elastic back to give more growing room for my little one who is growing like a weed! I made a few modifications to add in the piping, I love how it turned out! Wow, I cute it is? 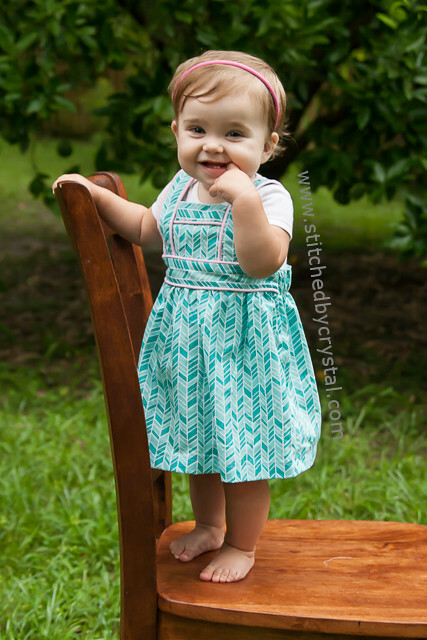 This baby looks beautiful on this outfit. I can't wait to make this like yours. Then I need a rotary cutter. Thank you so much for sharing this.